Home / Opinion / Blogger to mainstream media: "Wag kayong plastic. Nagpapabayad kayo. Padulas. Merienda. Kaunting pabaon." Blogger to mainstream media: "Wag kayong plastic. Nagpapabayad kayo. Padulas. Merienda. Kaunting pabaon." Personal blog named Deconstructed Media 2.0 recently made a post clearly addressed to mainstream media practitioners, calling them out for only reporting according to their basis and not the wants and needs of the people. The blog was clearly frustrated over how he thinks that mainstream media has developed into reporting. They said that the mainstream media has become incompetent, claiming that they spin stories in order to garner attention and viewership. Because of this instance, they say that the people has started losing support and trust towards mainstream media and has begun a shift towards social media instead. 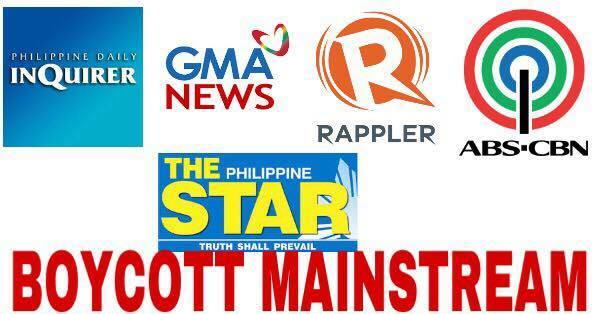 They add that it was not exposure to mainstream media that won Rodrigo Duterte the presidency, but social media which they expertly utilized. They also use this instance to justify the hiring of Mocha Uson despite her not being as qualified as other veteran journalists or experts. He says that at least Uson presents the news fairly and does not succumb to bias or personal interest. They add that mainstream media has allegedly become quite careless and does not verify facts anymore as well as no longer prioritizes more important issues at hand. Ending the post, they demand for a better media entity. One that listen to the voice of the people and does not concern themselves with fame nor fortune, for as long as they serve their true purpose to the public. It starts from the ground, up. Mula sa cameramen, field reporters, mga nakikipag-siksikan pa kunyari para sa “scoop”, mga journalists kuno na feeling tagapag-dala ng katotohanan… all the way sa mga boss nila na naka aircon sa opisina, nasa newsroom naghihintay ng babasahin, mga editors na naghahanap lang ng pangit na quote at pangit na angle nung politico… naghahanap ng maii-SPIN. Pare-pareho kayong walang kwenta. This is precisely why Duterte won despite the non-airing of his political campaigns. This is precisely why the government is investing a lot of money on social media – dahil wala na sa mainstream ang labanan. People have lost their trust on mainstream. Tangina kayong lahat. MAINSTREAM MEDIA IS DEAD. IRRELEVANT. Magbolahan kayo sa news niyo. This is precisely why the government would rather get a Mocha Uson than rely on Inquirer or Rappler or Bulletin, or whatever. Because you never give the government a fair shake. For your information, kahit pagsama-samahin mo pa ang Rappler, ABS, INQ, mas mataas pa rin ang engagement ni Mocha Uson. The people listen to her. 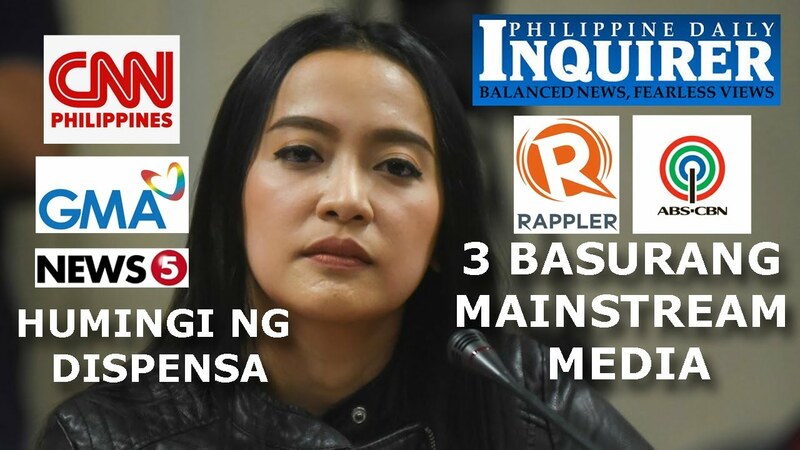 Sasabihin niyo, “eh mga bobo yang nakikinig kay Mocha, kagaya niya”. Then YOU HAVE NO IDEA WHAT MASS MEDIA IS. Anu-anong balita ang lumalabas ngayon? Yung kay Mocha. Yun na yun? There is a 4-hour expose on Comelec and Smartmatic and you decide to write on that? Is that news worthy? Ah dahil pinapasweldo niyo si Mocha? PLEASE VERIFY THE FACTS. A video that was shot months ago, she was not yet tapped to help on Federalism campaign, zero budget involved. That’s the best you’ve got? The mainstream media have ZERO pulse of what the country wants. You do not listen. That is why SOCIAL MEDIA is taking over. Dahil ang mga pinagsasasabi niyo sa mainstream ay hindi naman talaga interes ng tao. Ito na ang panahon ng pagbabago. The REAL VOICE of the people SHOULD BE HEARD. Wag kayong plastic. Nagpapabayad kayo. Padulas. Merienda. Kaunting pabaon. Alam ko na ‘yan dahil matagal na rin ako sa larangang ito. Sino ang binibigyan mo ng boses? Kaninong kwento ang pinipilit mong ipalunok sa akin?"